We were visited by a horse last weekend. Meet SamPaul and take a look at a lazy Saturday of painting and science projects around the Weekndr house. Yesterday was my birthday. There was cake, flowers, family photos, a massage. While a bit hectic running around town from one place to the next, it was by far the best birthday in a long time, maybe ever. There’s something special about having two girls now, like the family is complete. 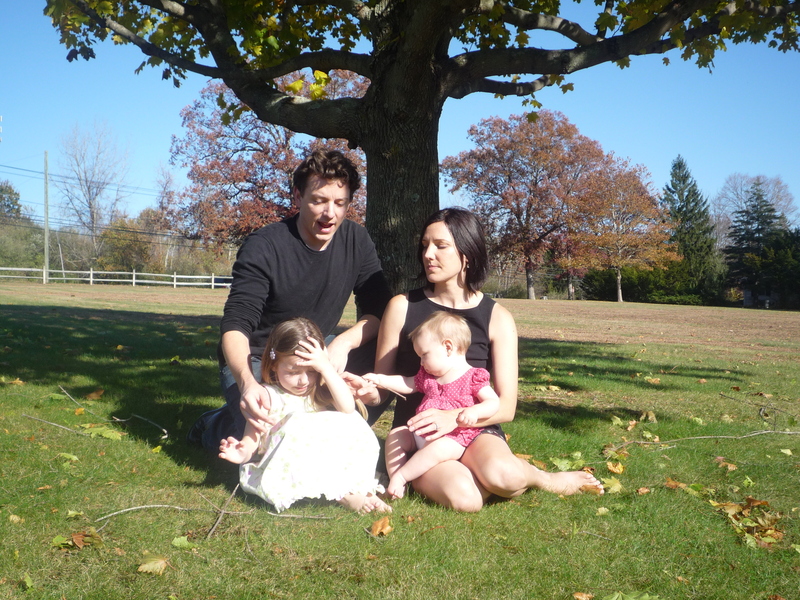 Getting a proper family photo is NOT easy. Most are like this. Baby Maddie’s first teeth popped out yesterday. That was a special gift. Today, my two bottom teeth. Tomorrow, the world! I’m lucky my husband is an artist, capable of turning out lovely cakes such as these. 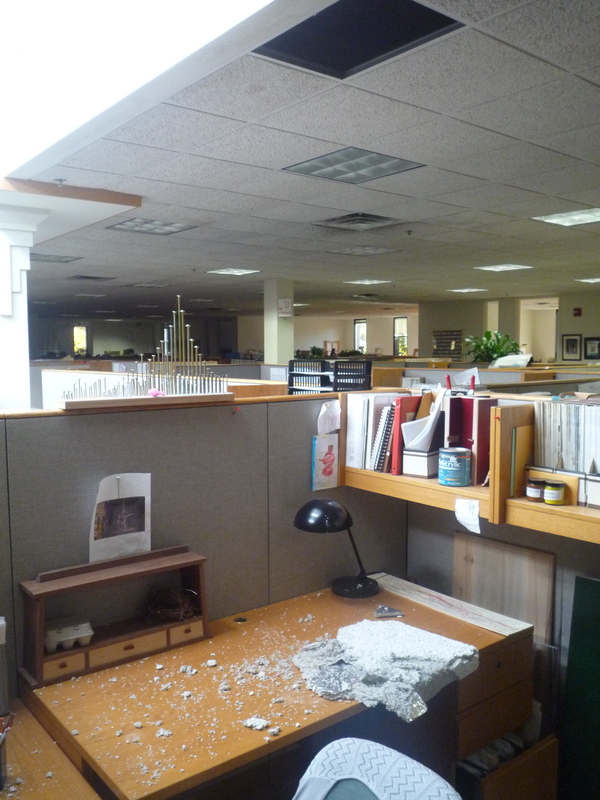 We stopped by Matt’s office and found the roof caved in on one of his coworker’s cubes. Bummer, huh? What a crappy way to start the week! Showing up Monday morning to this...not fun. Anyone with little kids is planning Halloween costumes by now (unless they enjoy last-minute runs to Target and picked-over shelves). The autumn leaves got me thinking about our past three years with the Neens. 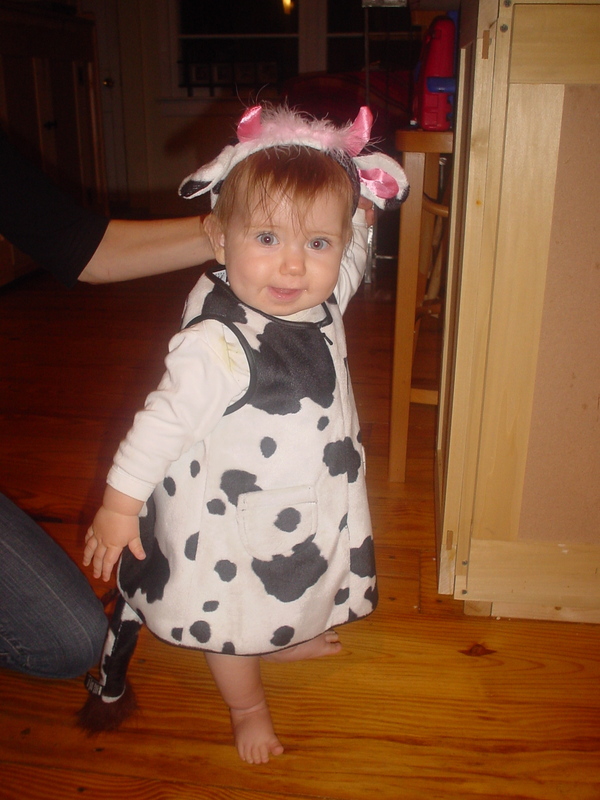 Nina dressed as a cow for her first Halloween, circa 2005. Her first two costumes were hand-me-downs (Asa and Lynn, you guys rock) and since Nina had no say in the matter, we did what we pleased. 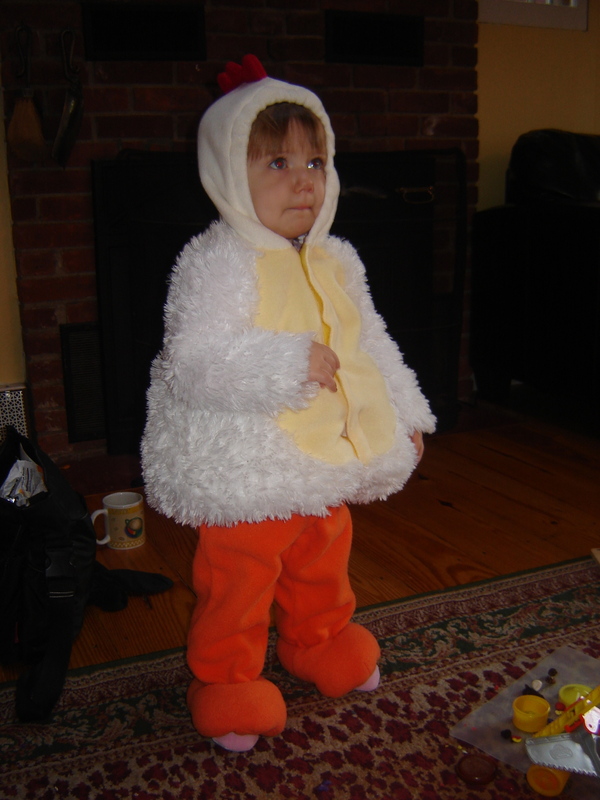 This chicken costume kept her warm and cozy in '06. 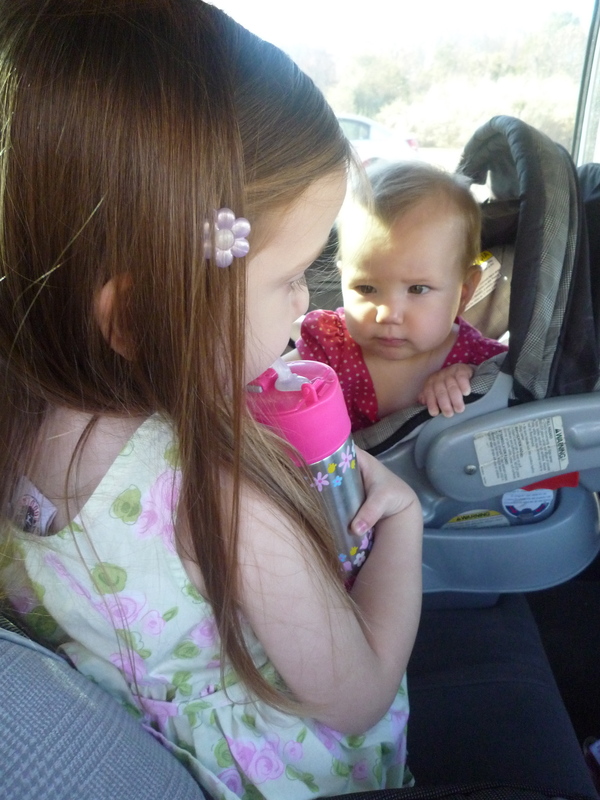 Then, by age two-and-a-half, she had a mind of her own. 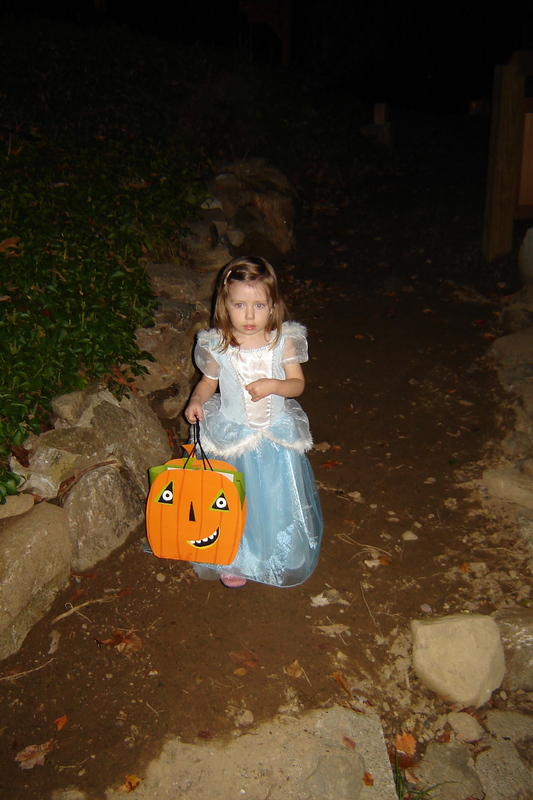 Disney had taken over and it was Cinderella or bust. Princess fever struck last year. 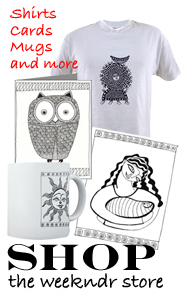 What’s in store for this year? Meet me at Target on Oct. 30. I’ll be the one with frazzled mom hair fighting you for the last wicked witch gown. Shades of yellow, orange, and red as fall in New England kicks in. Welcome to fall in New England. We’re still learning how to best capture the autumn colors with a camera but this above shot from our living room window is a good start. We were mostly outside this weekend cleaning up leaves, splitting and stacking firewood, and painting our grubby old chimney. I filled up the wood shed with two cords of seasoned oak, which should keep us warm and toasty through the ides of March. And Nina was a super champ with the paint brush. Dressed in her tie-dyes, we got started painting the white stripe off the chimney. My first cover shoot for Fine Woodworking magazine. I’ve been wrapping up a project at work to create a bundled DVD and magazine based on my Web series, Getting Started in Woodworking. The series is an attempt to reach out to young people to get them interested in learning the old-man skills of woodworking. It turns out I’m somewhat of an anomoly being under the age of 60 with no plaid shirts and a love of the centuries old craft. While the photos above are just a spoof, a real cover with my mug is due out in mid December. I’ll be sure to let you know so you can head down to your local home center to pick up a copy. We woke up this morning to a swarm of yellow jackets streaming into our house through a crack in the wall. And we hadn’t even gotten our coffee yet. Until you experience such a sight, you can’t understand the panic that ensues from seeing your living room fill up with mad-as-hell yellow jackets each the size of a peanut. Imagine waking up to this little guy and 50 of his friends inside your living room. For the past few weeks we had noticed some yellow jackets gathered around a spot outside our house where the chimney meets the wall. It was two stories up so there was no easy way to reach it without a tall ladder. Rather than borrowing a ladder and inspecting the situation, we ignored it. Bad idea. Apparently the little buggers had created a nest inside the wall where the chimney meets the house and for the past few weeks they have been planning their attack. 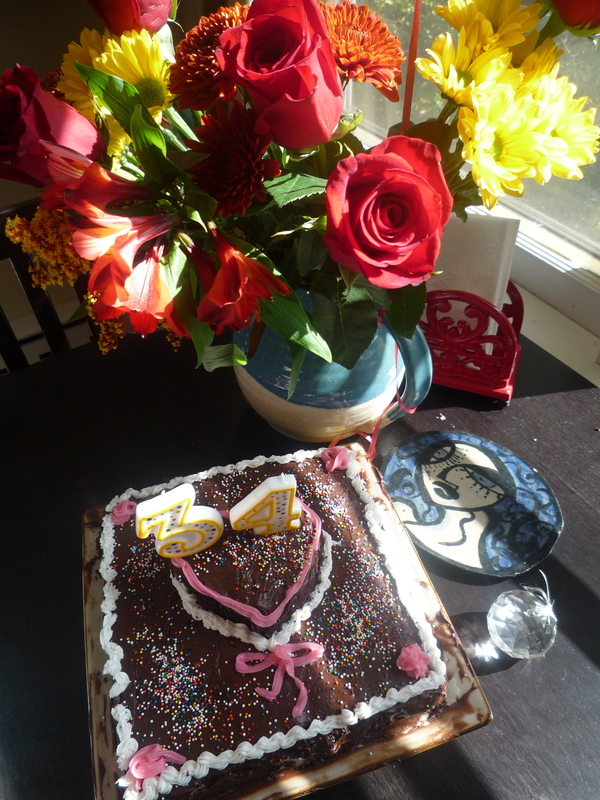 This morning was b-day. A few dozen buzzers made their way into the house by the time I armed myself with the vacuum cleaner and start sucking them up. The rest of the family ran screaming while I fended them off, and when the coast was clear I went out to the woodshed and grabbed a can of wasp killer. Since we don’t have a ladder tall enough, I removed the panes from a nearby window and aimed the nozzle squarely at the hole where I could see the yellow jackets entering their nest. No one was stung, which is the good news, and after a day of sucking and spraying the hangers on that trickled in, we’re pretty confident that the situation is under control. Unfortunately, these yellow jackets revealed yet another issue we have to deal with. If they can enter our house, so can the stinging cold air come winter time.